In our recent ebook, Merging tactics and tech, we cover how many of today’s digital marketing agencies are becoming technology providers on behalf of their clients. After all, it is getting harder and harder to separate marketing programs and tactics from martech, because today’s digital practitioners have to be experts in both marketing wizardry and the technology that gives them their superpowers. But whether as a reseller or simply managing technology for clients, how do agencies determine which services to support? 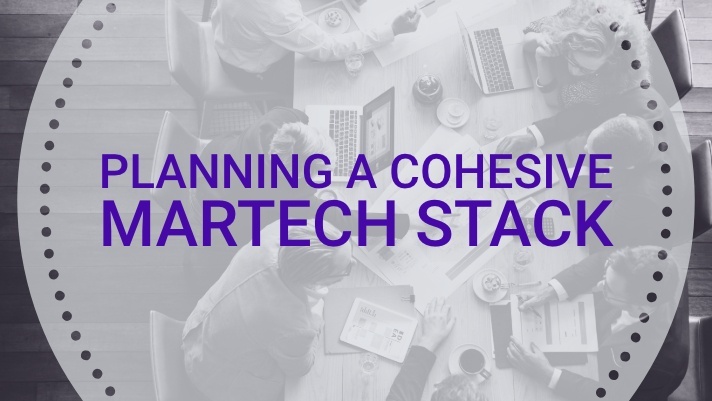 And how do you help your clients create a cohesive martech stack — one that fits their business needs but also makes sense for you to provide? Small and medium-sized businesses (SMBs) have very different marketing needs than the enterprise. And it’s not just the size of the company that counts — many times what makes SMB clients fundamentally different is their level of marketing maturity. That maturity has a lot to do with the experience level of your client’s marketing and sales team — and the level of martech sophistication needed to address their biggest growth opportunities. Because these needs and maturity vary, agencies need to be familiar with a range of tools in each category. Take customer relationship management (CRM) tools. Salesforce can be an incredibly powerful tool that’s customizable and has an entire marketplace of applications that can plug into it to give marketers and sales teams robust capabilities. But it’s more complex (and more expensive) than most businesses need. In the mid-range, Hubspot offers a CRM and a lot of great marketing tools. But for many businesses, ease of use is priority No. 1 — and our own Agendize software package with a streamlined CRM might be the best fit. As we wrote in a recent post, there are almost 7,000 companies that offer martech services of some kind, according to chiefmartech.com. There’s no way that businesses can understand and navigate this ecosystem on their own. And that’s another reason why agencies must take ownership of the technology on behalf of their clients. Yet, even the most diverse agencies won’t have the ability to understand the nuances of every available martech service. That’s why agencies need to fine-tune their offering to a few technology services that work best for their client needs. You need a deep understanding to expertly use many of these services, and the level of expertise needs to be deeper yet if you plan to offer them as white-label services. The takeaway: Create boundaries around the types and numbers of services you’ll provide. And then truly become an expert in each. Did we mention that there are a lot of martech tools available? Well, many of them are startups and recent entrants to the crowded market. And, in many cases, they’re not very well supported — either with people or documentation. Sometimes it’s difficult to even find testimonials about the company and their services — because there aren’t many — to give you the reassurance you need. That doesn’t mean new tools can’t be great or won’t solve different problems. But if you don’t have a lot of time to thoroughly vet services, focus on well-established, well-supported services. 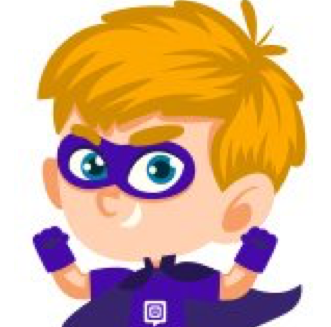 Agendize, for example, offers a rich customer support knowledge base and forum where our partners and end-users can search for answers, interact with other end-users within the community forums, and create support tickets that our customer success team will address. And of course, we use our own appointment booking page so that our existing partners and clients can book a call with an account manager in a matter of a few clicks. As you get closer to choosing the technology you want to work with, by all means, ask for case studies. (If you’re considering Agendize, drop us a note and we’ll be happy to provide our own case studies). In the fast-evolving world of martech, it’s crucial that the services you work with integrate easily with other services. There are far too many martech tools that work well in isolation but become troublemakers when trying to use with other pieces of a martech stack. Look for martech services (like Agendize) that provide access to a full set of APIs, so that you know it will play well with other software in your clients’ marketing stacks. APIs make services much more versatile — allowing them to scale as businesses do and as their martech stacks become more mature. Last, but certainly not least, is one of our favorite topics: conversions. Many digital agencies make the mistake of building out expensive websites and infrastructures, including hosting, web platforms like Wordpress, and even CRMs. But they neglect to add the tools that turn web traffic and social interactions into digital conversions. Well, that’s where Agendize comes in. We offer high-performing tools like Online Appointment Booking, Click-to-Call, Dynamic Form Builder, SMS marketing and much more! Our specialty is taking ordinary web traffic and turning it into real business. For many of our partners and clients, our martech service is the key piece that drives the return on investment (ROI) in their martech stack. Interested to learn more? Agendize is here to provide you with more information, answer any questions you may have and help create an effective solution, contact us today!